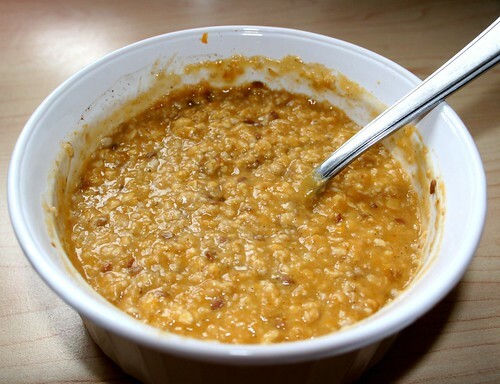 If that oatmeal looks delish, it’s because it is! I’m not a big oatmeal person, but I loved this! I head about adding pumpkin on a blog a LONG time ago (can’t remember which) and have wanted to try it ever since. Made up my own recipe. Turned out pretty good. It could have been a LITTLE sweeter, but I didn’t want to add any more sugar. I’m trying to limit my sugar intake. I have to say, one plus side to being vegetarian is I’m never going to have high cholesterol. My daily allowance according to livestrong.com is 201mg. I almost NEVER hit that. Some days I’ll hit it/go over, but most days I won’t even get half way there. Win!